T-Mobile continues to combat robocalls today by rolling out cross-network robocalling protection for the first time. T-Mobile and Comcast have teamed up to verify calls made between their networks. 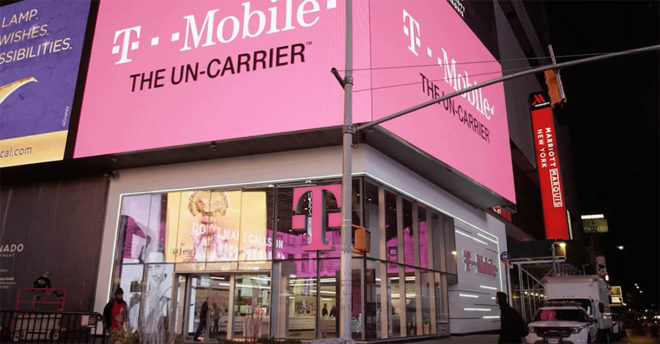 The feature is now live for T-Mobile customers and will launch to Comcast Xfinity Voice home phone customers later this year. This feature uses the STIR and SHAKEN standards to verify that incoming calls are actually from who they say they are. STIR and SHAKEN digitally validate the handoff of calls to fight caller ID spoofing. This is when a scammer hijacks a phone number to match the area code and three-digit prefix of the person they’re calling to make their call appear legitimate. T-Mobile’s implementation of STIR and SHAKEN is named Caller Verified, and T-Mo today revealed that it’s now available on a total of 10 phones. They include the LG G8 ThinQ, Samsung Galaxy Note 8 and Note 9, Galaxy S8 and S8+, Galaxy S9 and S9+, Galaxy S10, Galaxy S10+, and Galaxy S10e. Caller Verified is coming soon to the Galaxy Fold and Galaxy A6. If you have one of those devices and are running the latest software, you’ll automatically see “Caller Verified” on your screen for verified calls from the T-Mobile network or Comcast Xfinity Voice home phone service. Scammy robocalls are annoying at the very least, and they can end up hurting people. That’s why it’s nice to see STIR and SHAKEN getting better and working across networks, and hopefully soon we’ll see the cross-network compatibility expand further. Would be nice if they could bring this to BYOD users. It would be nice to stop getting some of those on our Pixels. Why is it that SHAKEN/STIR and other similar initiatives like this have to be device specific? There must be ways to transmit a failed verification without having to wait for an OEM to push an update (especially if the handset has long since passed it’s EoL) or “force” customers to upgrade to a new ~$1,000 flagship. The caller ID information could display SPAM LIKELY rather than JOHN DOE, for example. Or maybe a fictitious international country code prefix gets appended to the number. That way if they happen to spoof a number in my contacts list SPAM LIKELY doesn’t get surprised by GRANDMA. It’d be easy enough for T-Mobile & other carriers to let customers know if they ever get a phone call from +2 555-555-5555 it failed one of their various verification checks, more likely than not it’s a spam call, answer at your own risk.